This work package is working on the crucial first step of our project, which is the electrochemical reduction of CO2 to formic acid. 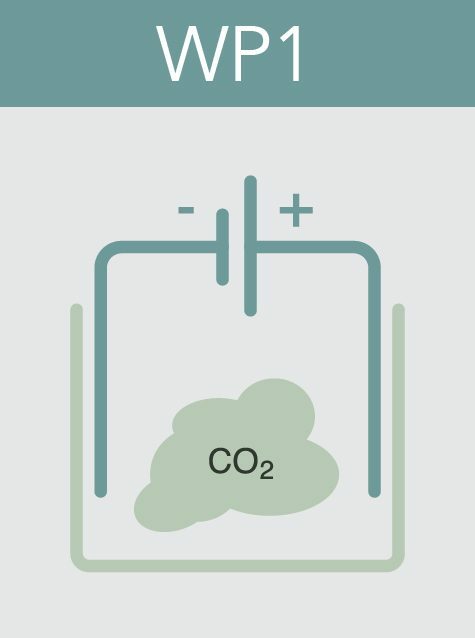 In terms of energy conservation, simplicity and stability, activating CO2 is more efficient using chemical methods (rather than biochemical methods). We will develop an electrolyser, in which CO2 is reduced to formic acid and water is oxidised to oxygen. Our first priority will be to reduce CO2 under acidic conditions, so that the final product, the formic acid, remains stable, or as we say "undissociated".